Details: Having bed bugs in your hotel is like having rats in your place. No one wants to admit it even though bed bugs have increased 1000% since 2007. Thus, the Bed Bug Bureau brand is like a secret agent society that covertly helps hospitality businesses with their bed bug problems. The identity for the brand was “brown-paper” wrapper simple. Other elements for the brand included black and white silhouettes of a male and female secret agent. 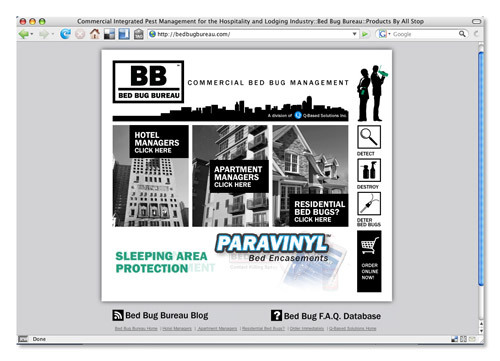 Details: Bed Bugs have invaded the hospitality industry all over the world (yes, they are real!). It’s an embarrassing problem no one wants to discuss. Thus, the Bed Bug Bureau (BBB) brand was born. 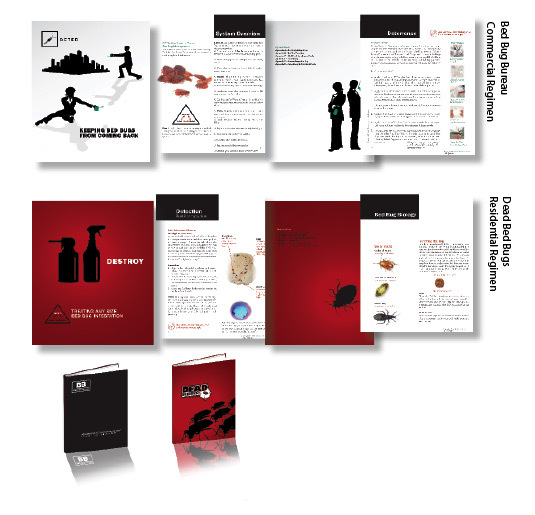 The Bed Bug Bureau brand has a secret agent feel to it in order to emphasise how covert the bed bug treatment system is.